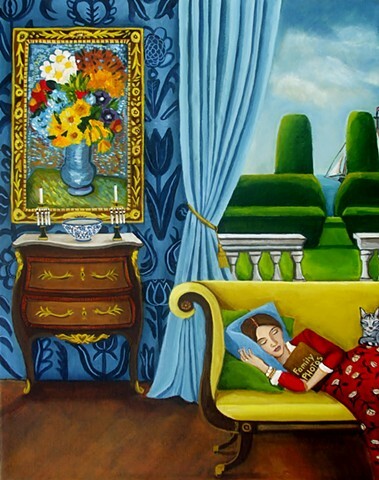 I decided to paint a classic Catherine Nolin interior scene complete with favorite wallpaper and of course Leo. It's 11x14 painted with acrylics on stretched canvas. The sides are painted and it's wired and ready for a special home!